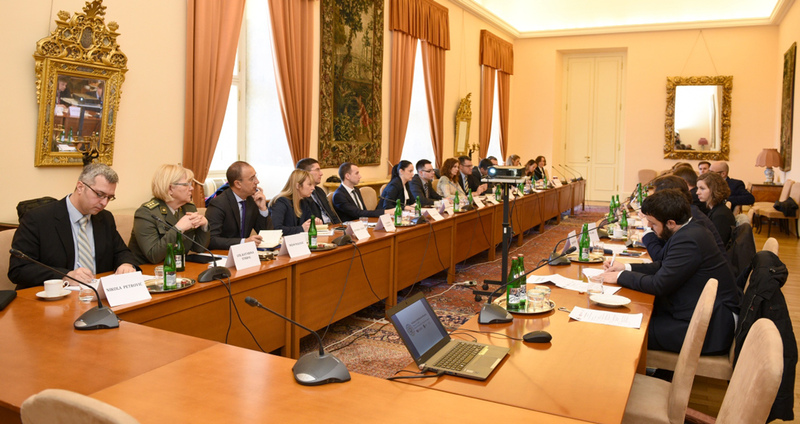 On March 16-17 a conference “Civilians in Multilateral Missions” took place in Prague under the auspices of the Ministry of Foreign Affairs. The conference is part of a project “Development of the Serbian National Civilian Capabilities for Contributions to Peace Operations and Civilian Crisis Management” funded by Czech Development Agency and jointly organized by Prague Security Studies Institute and ISAC Fund. This two-day conference builds on a Civilians in Multilateral Missions Seminar held in Serbia in October 2016 and was attended by representatives of the Ministry of Foreign Affairs, Ministry of Interior, Ministry of Defence, Ministers Cabinet for EU Integration and Governments Office for Kosovo and Metohija. During the conference participants had an opportunity to learn about the Czech experience and their participation in civilian missions directly from representatives of the key institutions.